Comments One of the finest Emeralds from our latest lot! This natural and untreated Emerald from Colombia is just scintillating! The sensational sparkle of this beauty is limitless! With over 90% clarity and a Deep Spring Grass green color and a superb oval cut, this one possesses powerful Sattvik energies and is definitely one of the most potent Jyotish gemstones! This gem set in a 22K Gold ring is making one powerful Mercury Talisman!Note: The above links generally exist on the website for a period of 40 days after which they are periodically deleted to make way for new gemstones and to enable faster browsing. Comments A super fine gem that is not only fully Natural and Unheated but also one that has superb Sattvik energies and extraordinary looks! This Ceylon Sapphire is what can be called as a Top grade Golden Yellow Sapphire and fantastic clarity levels! This eye-catching beauty has made a powerful Jyotish talisman, which represents the best of Jupiter energies when set in this solid 22K Gold ring!Note: The above links generally exist on the website for a period of 40 days after which they are periodically deleted to make way for new gemstones and to enable faster browsing. 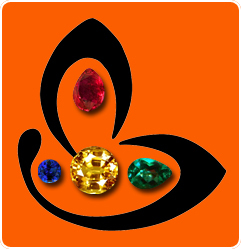 Please note that the offices of Gemstone Universe and Astro Journey Shall remain closed on the April 9, 2011 on account of internal inventory audit. The services shall resume normally on April 11, 2011 – the next working day. Phone calls and emails will be addressed upon resumption of normal work schedule. Your kind cooperation is solicited. 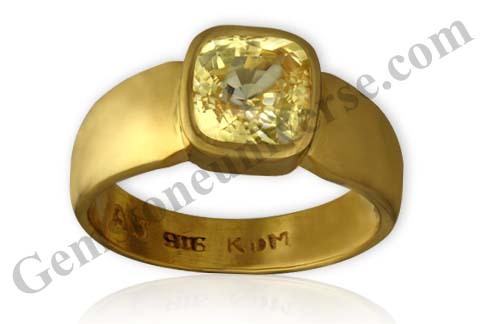 Selected Rings, Pendants and Talismans made available to Gemstoneuniverse.com patrons in March – April 2011. Comments A charming almost heart shaped gem that is not only free from any surface flaws but also has a smooth satin finish! The purity of this Australian non-nucleated natural Pearl has sheer Sattvik innocence. Jyotish powers aplenty in this talisman make of Sterling silver with the ancient symbols of Moon on the shanks of the ring! Comments It is extremely gratifying, gladdening and heart-warming to see the passion to implement gem therapy! It gives us extreme pleasure to make available not only Entry-level gems (Read minimum 90% clarity levels) which are fully natural and untreated, but also ways to implement the therapy by reducing cost and making the band in silver and the throne of the gem in 22k Gold! 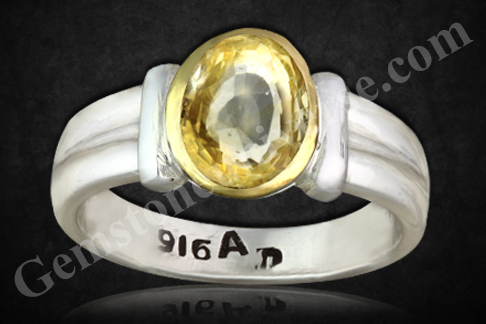 A fine Jyotish quality Yellow Sapphire guaranteed to deliver the best results for the benign Jupiter-the planet of Good luck and fortune! A talisman of power!Note: The above links generally exist on the website for a period of 40 days after which they are periodically deleted to make way for new gemstones and to enable faster browsing. Comments Amazing powers reflect from this potent and Sattvik gemstone! This fully natural and untreated Hessonite from the Sri Lankan mines is a flawless gemstone with the most amazing Deep Burnt Orangish Cinnamon color! Set in a sterling silver ring with 2-cent diamond accents, this Hessonite is making a Rahu talisman full of beauty and filled with powers of the shadowy planet – Rahu! Note: Thank you dear patron for your kind and encouraging words and a lovely testimonial! Comments A graceful and enchanting Australian Natural Pearl! The translucence is just amazing! Silky cream overtones with wonderful lustre and Sattvik Lunar energies! A potent gem to harvest the best of the Moon’s powers! ! Making a enchanting and graceful Moon talisman when set in this sterling silver ring! As a web based product /service providing organization Gemstoneuniverse has always been very- very conscientious and has remained above board in its dealing with every single individual it takes on in the capacity of a ‘client’. However, spoiler alert sounded for us the first time when an individual went beyond the limits of propriety and engaged in disappointing behaviour despite due procedures at our end, in fact it has been a service where we have stretched our self and gone beyond the call of duty to ensure customer satisfaction. It made us sit back and wonder whether a slogan similar to caveat emptor has been devised for the sellers/ service providers. The organization has been very straight, moving with a very linear perspective about our responsibility to our clients/ customers. This particular event of bad client attitude left a bad taste in the mouth. It is not so surprising anymore to see the number of results Google throws up when you key in the term ‘Bad client’. In fact there is an important piece of wisdom given at the outset – One of the best ways to maintain good relationships with clients is to avoid the bad clients in the first place. There are several indicators mentioned that are characteristic to a ‘bad client’. At Gemstone Universe we begin with a belief in the goodness and sincerity of individuals we interact with and it is very much a part of the core values and culture followed within this organization. Our impeccable record is there for one and all to see through testimonials of the multitude of clients. Also the volumes would not manifest without dedicated work and quality controls in place. Gemstone Universe was awarded Excellence in Exports Award from the Jewellers Association at its 36th General Body Meeting. This award is given to companies for excellence in business practices, exceptional product quality and the sheer range of clientele worldwide, the company caters to! Need we say more? Every product that is shipped out of here passes through stringent checks and control points to get the necessary certification. 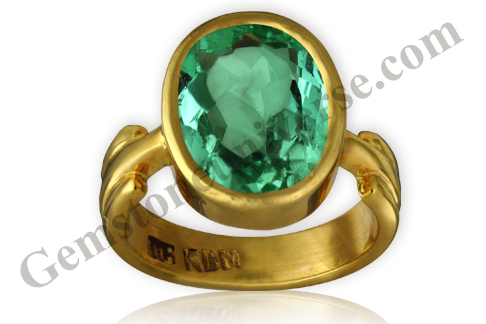 Please click here to go through Gemstone Universe’s certification process. It is this process that endears us to our clients worldwide. Also there is such a great degree of transparency in our dealings that many products get a mention on the blog with its description, exact cost and the patron location. There’s practically nothing to hide. You could calculate our taxes if you kept tabs on our sales! Go for it. We do believe that we do good work and it is definitely unsettling for our competitors and enough to stir up a fair amount of insecurity. There will always be someone hacking away at your roots if you are doing something worthwhile. We do encounter bad eggs, who are just sniffing around for information. But much to their dismay, the technical, legal and technological arm at gemstone universe is sound and has systems and devices in place to ensure tracking of individuals with malicious intent and bring them to justice. Detailed records of all communication are maintained for reference. Then there are also people who try to pose as buyers and are in turn looking for a kill by selling products further on auction websites. We would like to inform you that no third party has the rights to sell Gemstone Universe products. We have no franchisees or agents or dealer. We remain committed to our mission and will continue to do our best. Meanwhile, do lie back tonight and give a thought to your duty as a client, beside your privileges…for once! At Gemstoneuniverse and Astro Journey we are driven by values of excellence and service and not merely by sales. For the last decade our consultancy fee has been constant and is charged just to keep trash out of our inbox. Today we are the only organization in the world that has maximum world class professionals – each one certified by the GIA-Gemological Institute of America. For us every service or product that we provide is an opportunity to be, add value and contribute positively to an individual’s life and we take it very seriously. Despite the sheer quantum of work we do, we ensure flawless products and services for flawless results and that’s why we are the Gold Standard and receive industry recognition and accolades from our clients worldwide. This can be viewed by the testimonials that we have on the website including the Video testimonials and the awards that we receive. The sheer volume of work that we do and the results we deliver means that we have to optimize our time and the time of a professional is very valuable and limited. We have to give our best to our clients who have reposed faith in us. In such a scenario, there are some cases where we feel that flaws can creep into our perfect process, which is unacceptable by our standards. These are some example cases below where the management committee decides not to accept an order. This decision is final and no further communication is encouraged in this regard. Time reply rate to an e mail at our organization is a minimum 3 minutes average to a maximum 14 hours unless there are special cases that require more consideration, and these are personalized replies. To be able to do all this we would need to make a choice! You type in 1000 words for a question and a reply of 500 words is unacceptable. (Well, the less said the better. There is a resource wherein we clearly explain about the quality of your question. This resource can be accessed by clicking here). Everybody communicates differently. If your benchmark is the word count program rather than quality of the communication you need to make a different choice). Changing an active sentence to passive or direct to indirect again and again is not our style of communication. Verbose answers do not imply effective solution. Vedic astrology has very exact answers for specific questions. If you are looking for spiels or lengthy expositions, you should be looking out for a counselling session or discourses! You Order a 1 question report and your question reads – Please tell me about my career for the next 10 years. You forward our recommendation and report to several consultants without our permission, compromising on several important data that we would not like to be shared. Similarly you forward the recommendations of other consultants to us. We see this as a BIAS causing information that will surely shove objectivity required out of the window! You order a report once and using the same report code you keep on asking fresh questions. 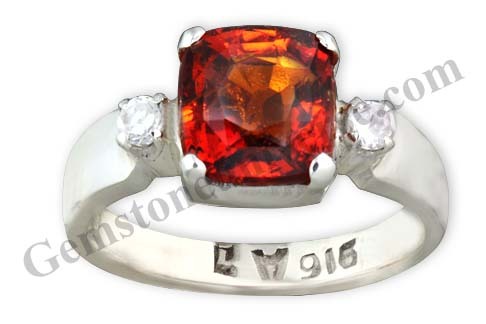 You order an entry level Emerald from the website wherein there is an accurate picture and the description reads 85% clarity levels and then you send a mail that reads: I just completed my order. I hope to receive my eye clean emerald very soon. Most of your Astrology Information or Gemstone information is based on online research and you have no idea about Divisional charts or color/ tonal quality of the Gemstone and still would like to keep discussing your information. In such cases, it becomes amply clear to the management that you do not understand what we exactly do and do not value the time of a professional. In similar cases we will not take you on as a client/ patron. This is to ensure that we provide flawless products and services that lead to flawless results and those who are genuine patrons get the maximum attention. Much as we value your patronage, our value and dedication to our patrons and the value addition that we bring to the world of Planetary Gemology forces us to make this choice. We wish you well in life. 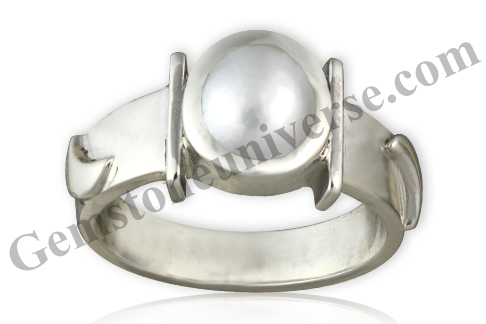 Comments A pure pearl with an Oval Shape and Solid weight are making it a powerful moon energy harnessing natural gemstone! 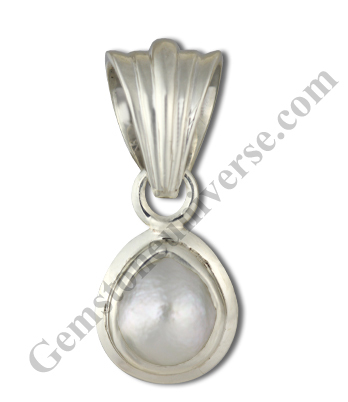 An Australian Natural Pearl with Sattvik energies and all that the Moon embodies! White overtone, good lustre and a clean surface make this a Jyotish gemstone of immense powers! Making a talisman of Lunar proportions when set in this sterling silver pendant! Comments Flawless and captivating fully natural Hessonite Garnet with the most desirable and preferred Deep Burnt Imperial Cinnamon color from the famed mine fields of Ratnapura Sri Lanka! With fantastic clarity levels and the Sattvik energies of Rahu! 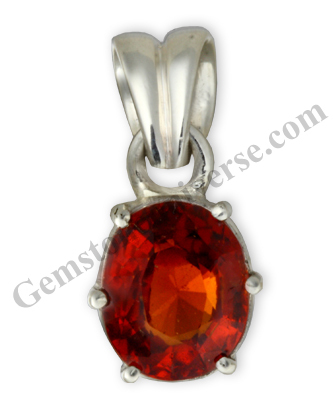 A sterling silver pendant with this Hessonite is making a Rahu talisman that is sure to deliver the mystical benefits of the North Node – Rahu!